Two men have been arrested and charged following an attempted break-in yesterday (Tuesday) afternoon. Local officers received several reports from the community about two men trying to force entry to the property in Langlands Road and responded to the area. The public then continued to assist police by providing information as to the whereabouts of the suspects. 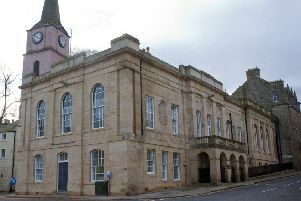 A short time later, the men aged 35 and 38, were detained and appeared at Selkirk Sheriff Court today (Wednesday).